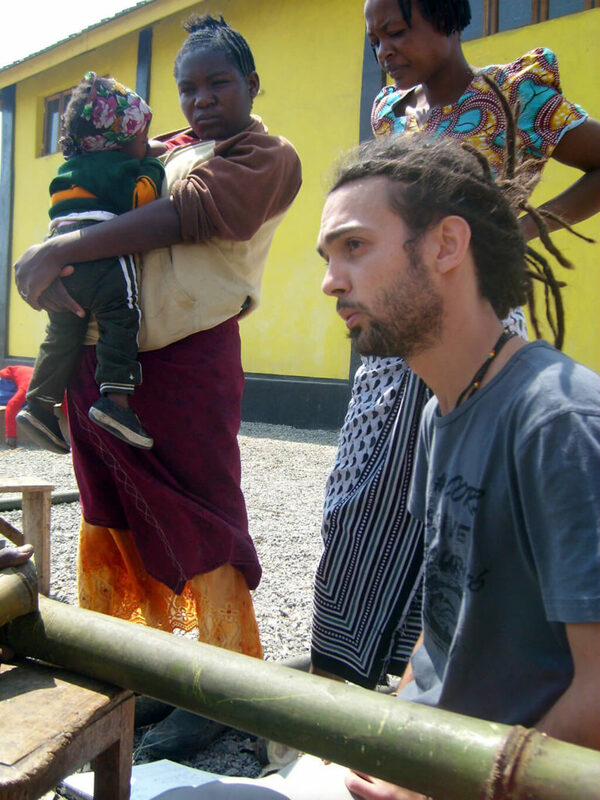 In 2010, Jaime Espinosa, by then student at the Technical University of Madrid, stayed in Tanzania, developing his final degree project on bamboo as a building material, awarded by a scholarship given by the university as part of its Final Projects in International Cooperation for Development Programme, with Ardhi University in Dar-es-Salaam as local counterpart for academic issues. 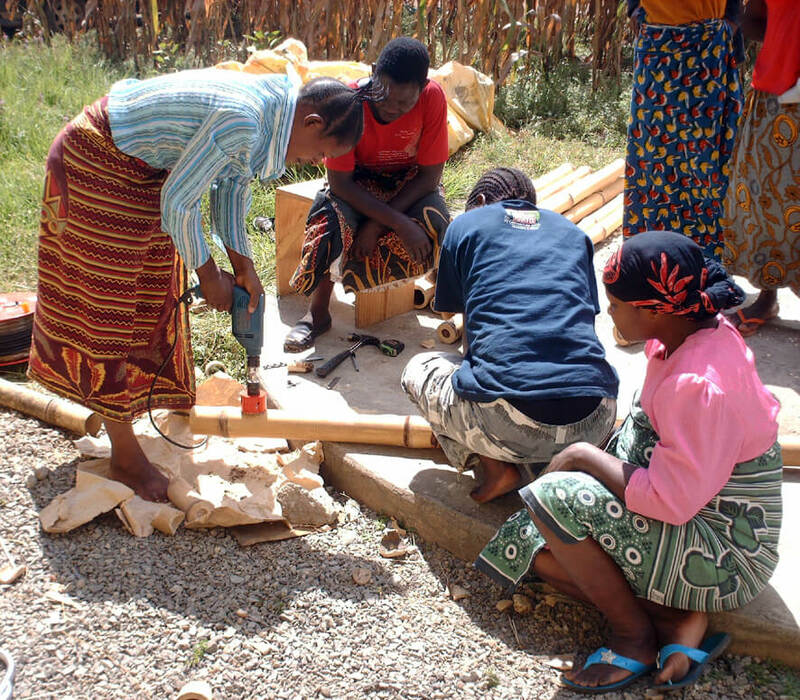 Most part of field work consisted on collaboration between the author and a local women’s cooperative society called Mbeya Bamboo Women Group, who were interested in learning how to preserve and handle bamboo round poles as building and furniture making raw material. The whole process of the treatment learnt by the author during his independent research, which took place mainly in Colombia, was followed and learnt by the members of the group, now able to replicate it. 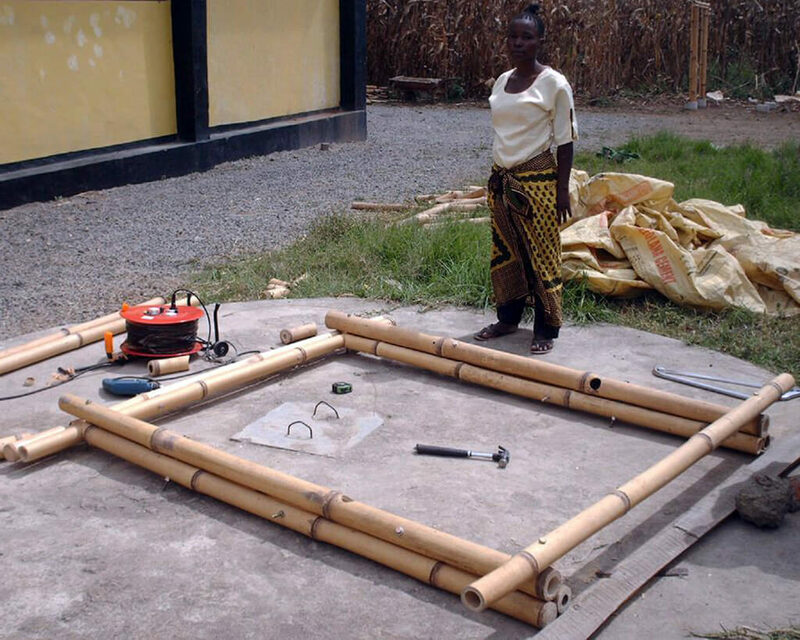 Treated bamboo was used for building a drying shed to store the material and for manufacturing six different bamboo furniture pieces prototypes, from armchairs to double school desks. Moreover, a research project on mechanical performance of Arundinaria alpina bamboo samples being tested destructively was carried out by the author and personal from the National Housing and Building Research Agency in the laboratories of this official organism. Used specimens were taken from treated material in MBWG’s workshop. 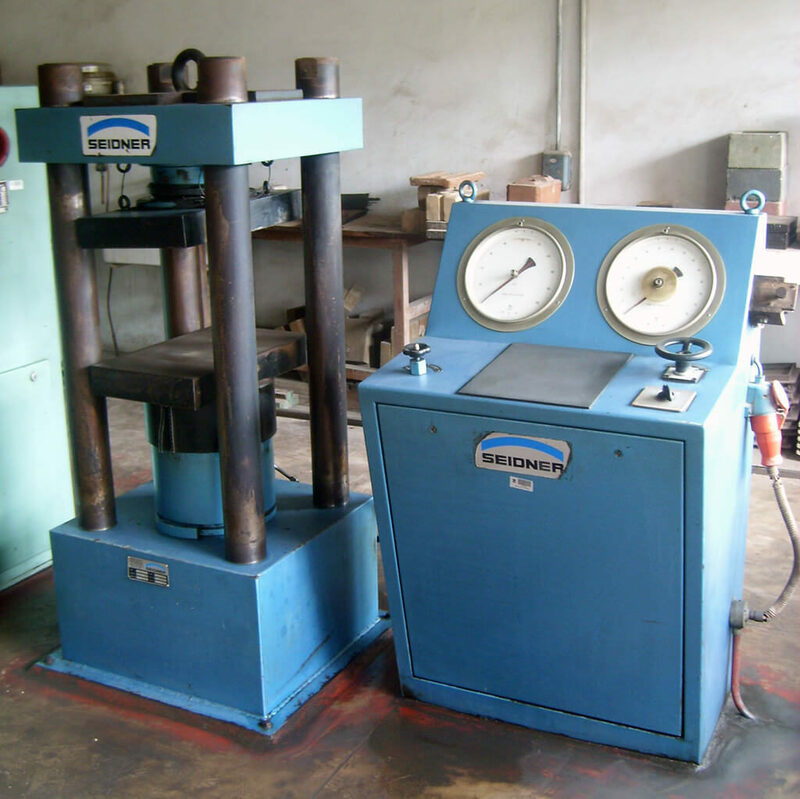 A half of the specimens were destroyed by compression and the other half by shear, both efforts parallel to the fibres of the specimens and using the same test machine. The influence of the project in the academic sphere was palpable in a lecture given by the author in the Mbeya Institute of Science and Technology, and in the research material exchanged between the author and senior researchers at the University of Dar-es-Salaam. 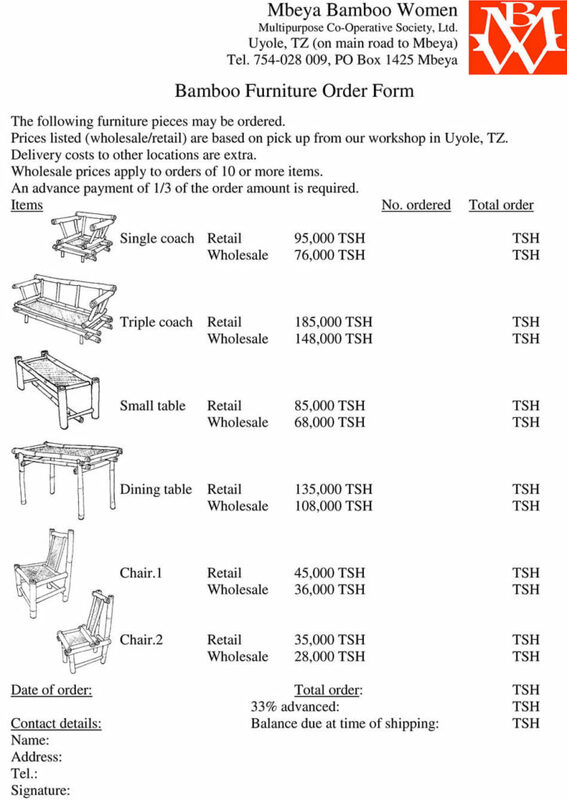 Tanzania, Arundinaria alpina, treatment, capacity building, furniture, research. Within the frame of Final Projects in International Cooperation for Development Programme by UPM the author of the present paper, Jaime Espinosa, by then student in ETSAM, spent around eight months in Tanzania, carrying out a practical implementation of his knowledge related to bamboo treatment and processes, most of it acquired previously in a research trip to Colombia, financed by UPM as well. After few years of theoretical research by the author (INBAR 2008; Janssen 1981; McClure 1953), that first field experience in Colombia during three weeks allowed him to follow one of Jörg Stamm’s (*2) workshops in Ecobamboo, next to Cali, Valle del Cauca region, and to attend as part of the audience to the Second International Congress on Bamboo Modern Structures, celebrated in Bogota, in addition to visiting some of the largest structures reached up to date using structural round bamboo Guadua angustifolia. 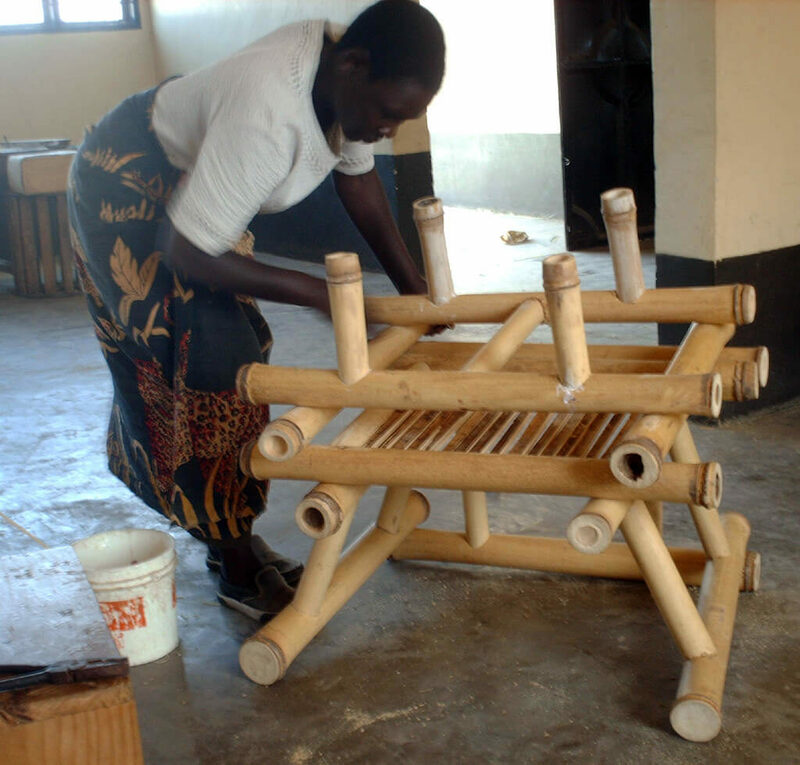 In Tanzania, the author was welcomed by the MBWG to implement technical processes concerning bamboo preservation and its manufacture as material used in building and furniture production works (*3). MBWG is a cooperative society based on local women management and their work, physically located in Uyole, a village sited five kilometres far from Mbeya, a city in the Tanzanian Southern Highlands reachable by the road from Dar-es-Salaam to Lusaka, located approximately nine hundred kilometres far from Dar-es-Salaam. 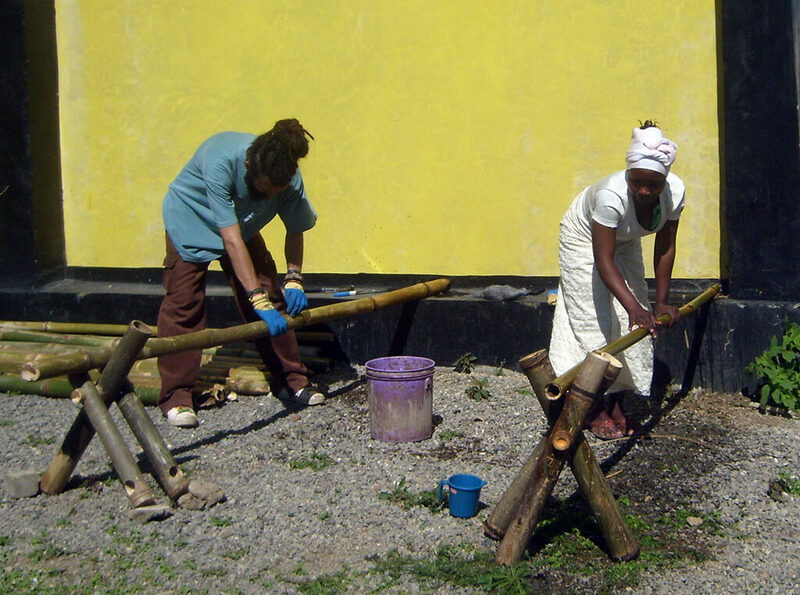 In their workshop facilities, the members of the group remove thin slices from fresh bamboo culms in order to be woven, creating a matt which may adopt a wide range of different sizes and shapes. This mat is used to make art crafts, handcrafts, ceiling boards among others high-quality finishing items. Considering administrative terms, the author belonged to UPM but he was hosted officially by the ARU in Dar-es-Salaam while he stayed in the country. It was signed MoU between both universities, as a point of reference and written support for their potential academic exchange. This agreement meant an important goal for the project, as the programme purpose is to strengthen high-education institutions through international cooperation. There was close contact with other relevant institutions in the same level going from holding an informal meeting to giving a lecture for professors and researchers. These institutions were the IHSS (which belongs to ARU), the UDSM (particularly the College of Engineering and Technology) and the MIST (where the mentioned lecture was given by the author). A different project spin off from collaboration between the author and MBWG which consisted on destructive load-bearing tests to Arundinaria alpina samples in the NHBRA facilities, a governmental institution sited in the city of Dar-es-Salaam. After three weeks in Dar-es-Salaam, since mid-February until beginning of March 2010, the author moved to Mbeya, a city hosting around 500,000 inhabitants, even though statistics are not really trustful in sub-Saharan countries. 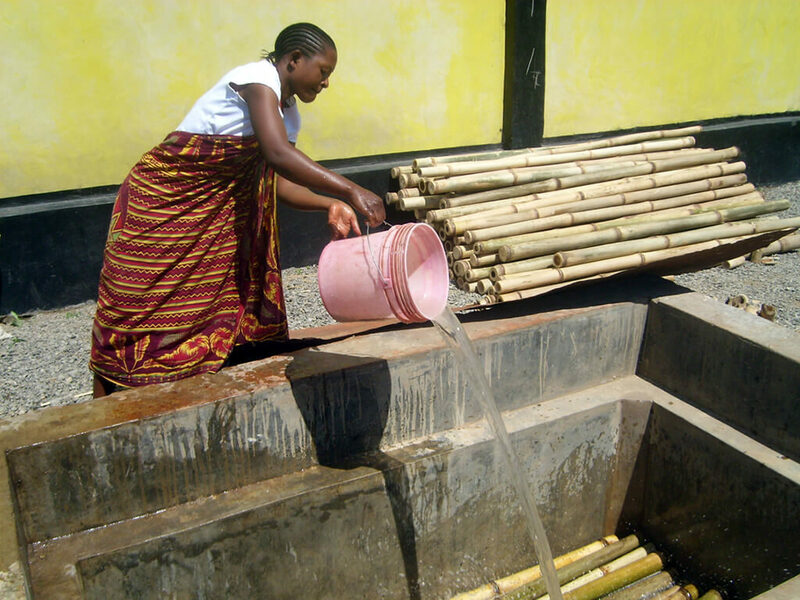 In Dar-es-Salaam, the most populated city of the country, which also hosts most of official buildings, the chemical products needed for optimal preservation chose for bamboo where purchased: borax and boric acid. MSc. Arch. Ms. Elinorata Mbuya, professor in ARU and researcher in IHSS, was the counterpart supervisor for the UPM programme that the project was taking part in and was being financed by. Even though at the beginning of the project there was not still an agreement between UPM and ARU, a MoU was finally signed by both parts, enabling other students at UPM to develop their final projects in Tanzania with ARU as counterpart within this framework programme. In Mbeya, different meetings were held between the MBWG members and the author, considered as a guest member of the group by the other members. During these meetings, key points related to the aim, the scope and the goals for the cooperation project were discussed and voted. An estimate to reach those objectives was approved. 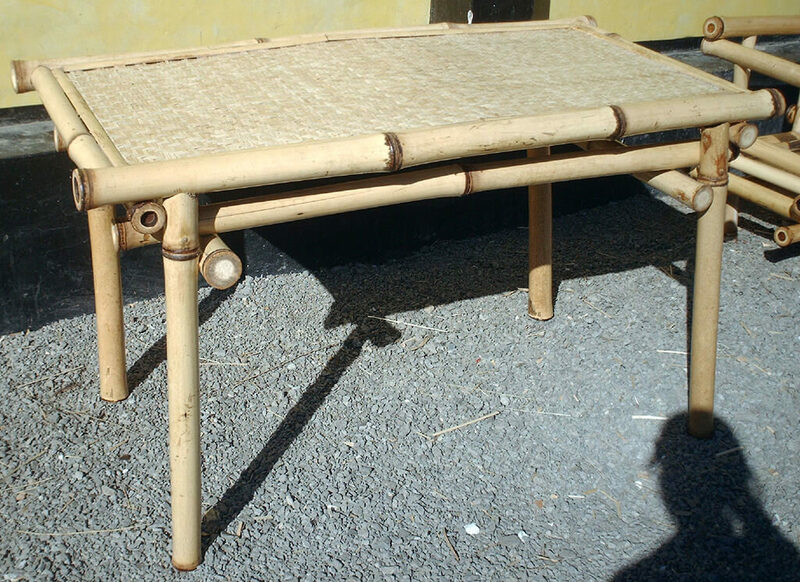 The group was interested in making bamboo furniture. Until then, the members of the group where skilful and experienced in bamboo woven mat art crafts and handcrafts, including baskets, bowls, ceiling boards, etc. 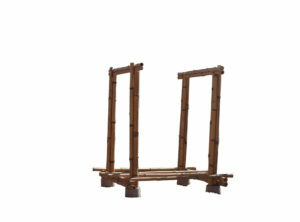 even a furniture set of armchair and table of wooden structure covered by the mat and finished with rattan. 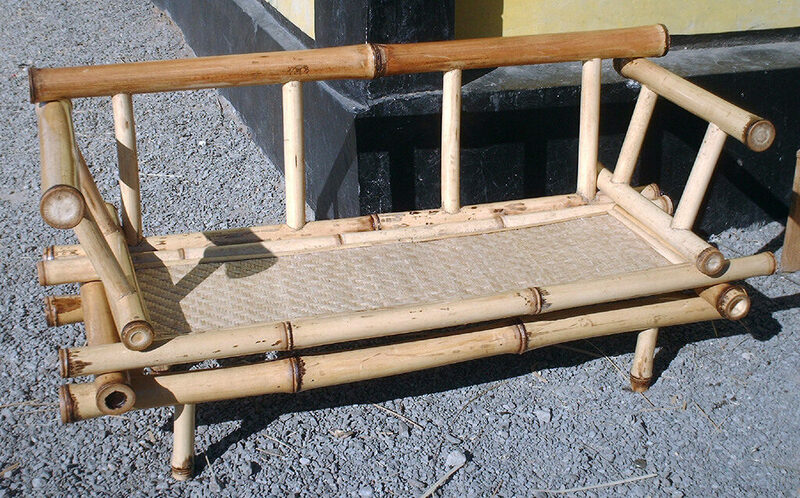 They knew bamboo furniture was valuable for tourism industry, wealth particular costumers and local authorities looking for inexpensive ways to furnish primary schools (INBAR 2008). 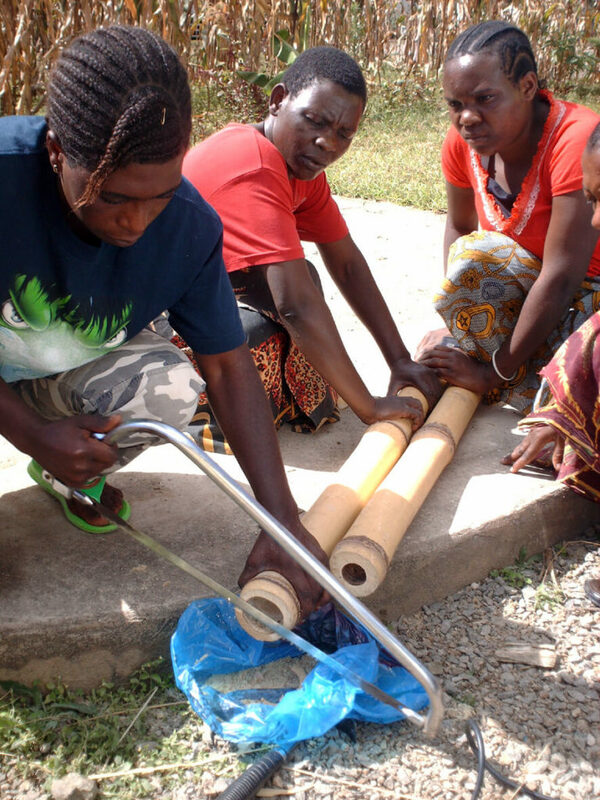 Conclusions reached during these meetings were: 1.- to get raw material, African mountainous bamboo called Arundinaria alpina, from the forests between Isyonje and Isongole, 2.- to follow preservation processes for the bamboo to be used: seasoning in the forest, immersion in borax and boric acid solution, 3.- to dry in contact with direct sunlight and by the shadow, 4.- to use part of treated bamboo in the construction of a shady drying shed inside MBWG facilities, and 5.- to use the rest of the treated material in the manufacture of furniture pieces as prototypes to be replicated by group members by their own after the cooperation project period. 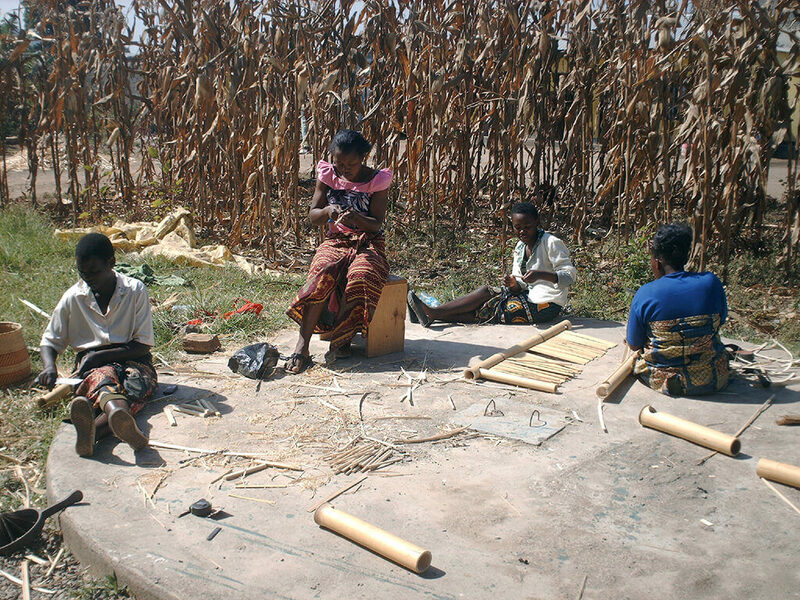 With the purpose of following bamboo cut labours and its seasoning evolution for three weeks, the author moved to Isyonje, a small village in the mountains located around twenty kilometres southern Mbeya. There, the author got in contact with local authorities and a group a people was assigned to carry out cut and lift works, from a bamboo forest located between Isyonje and Isongole, a neighbour small village. 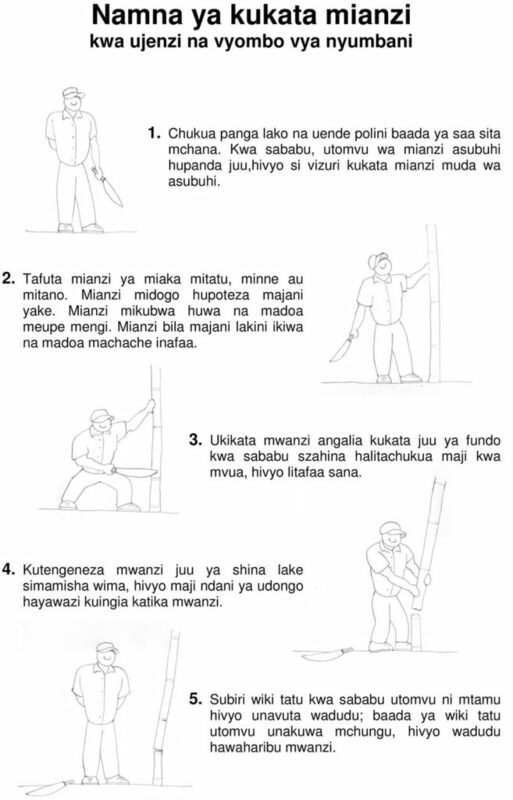 In order to make clearer explanations about how to cut and handle properly bamboo from the resource of the raw material (a forest in this case) the author edited a brief guide in Swahili, official national language in Tanzania, titled ‘Namna ya Kukata Mianzi kwa ujenzi na vyombo vya nyumba’, ‘How to Cut Bamboo for Building and Furniture’ in English (Figure 1). In that document were explained, in a colloquial manner, technical aspects to take into account in order to avoid moisture, fungus, insects and other undesirable pathologies in the material. The rules explained are based on research results achieved during last 25 years in Colombia, concerning several technicians from different fields. Although every experience is valuable, it is a must to remark the astonishing precision of cooperation projects between the UTP and the GTZ. 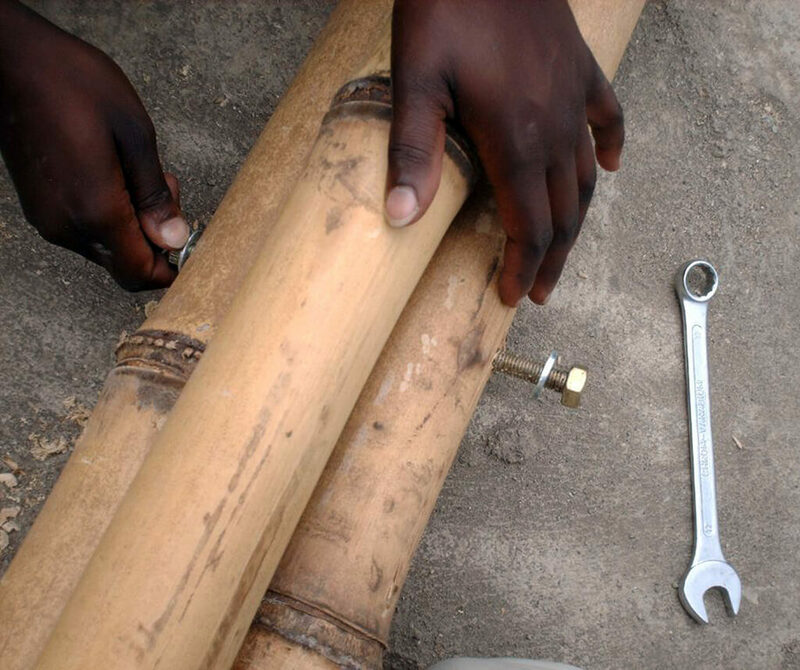 Explanations headed to Tanzanian local population interested in learning the techniques regarding proper time of the day to cut bamboo, how to choose the right age for optimum mechanical performance, where to cut exactly every bamboo stem and how long should first season last at least (Figure 2). Three weeks after cutting sessions (discussing information in the paper and solving inquiries of locals) bamboo stems were considered seasoned enough, as the preservation process was going on in MBWG’s workshop facilities (Stamm et al. 2001). Preservation process followed in the project, after cutting proper culms properly and seasoning for three weeks, continued in MBWG’s workshop consisting on the next basic steps: to wash every stem using scourers and water in order to remove lichens and fungus may be in the outer skin of the bamboo (Figure 3) so the preservative solution would be more easily absorbed, to open every cell of every stem so inner water come out and preservative solution will go in during immersion (Figure 4), to dry by direct sunlight in order to reduce moisture content. 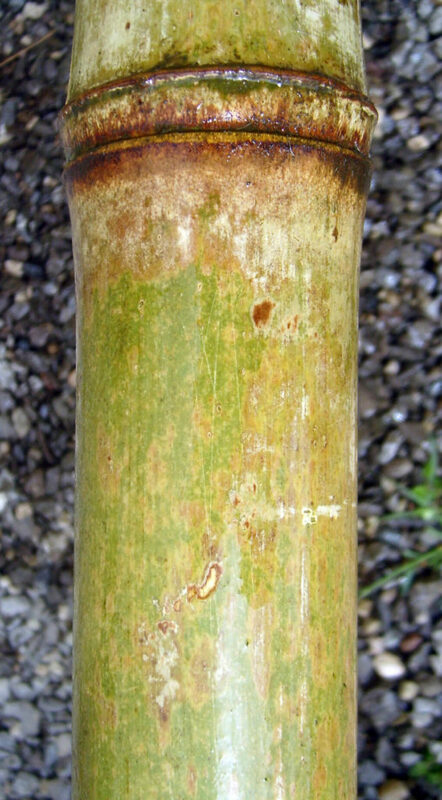 In summary, main criteria for bamboo stems were: 1. 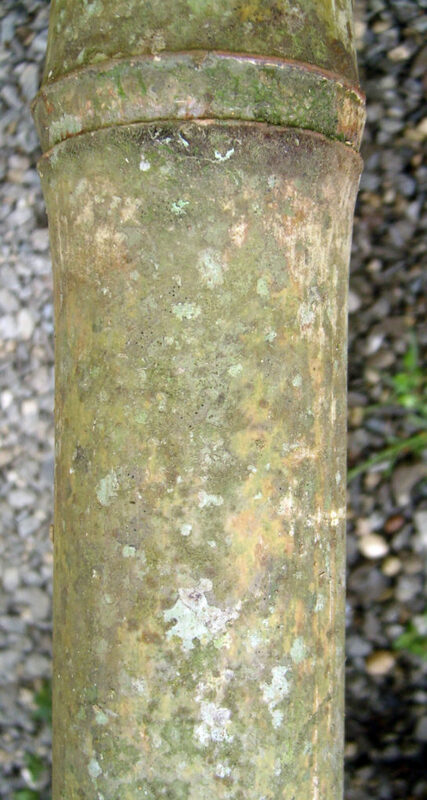 Age of the stem: between 3 and 5 years (Liese and Weiner 1996), presenting lack of leaves along the stem and with the presence of some lichens on its surface; 2. Altitude above sea level where they were grown: over 2,000 m.a.s.l. 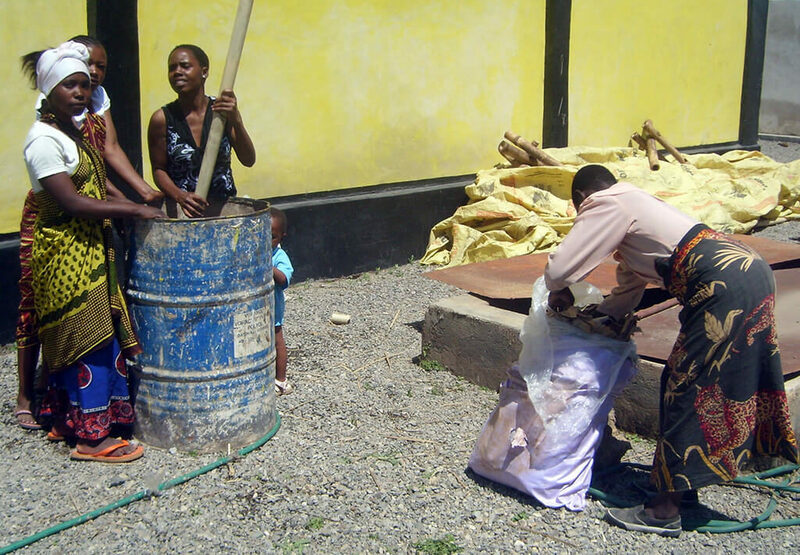 Although seasoning is the key step in preservation process and the only step in traditional cases scenarios, in Mbeya we combined three weeks seasoning with one week more immersion in borax and boric acid solution at 4% concentration (Liese 1990): 2 kg of borax and 2 kg of boric acid for every 1,000 litres of water (Figure 5). 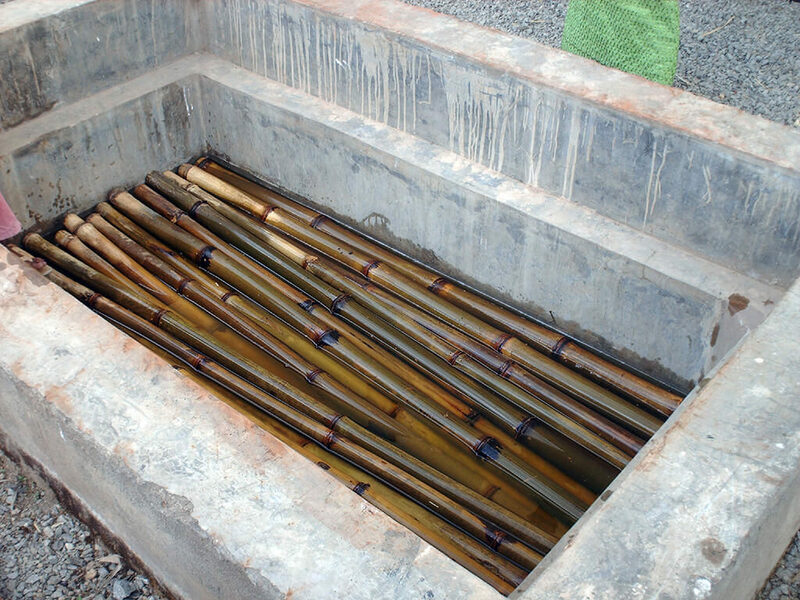 There was an old water tank in the workshop facilities which was out of use for a long time, so it was cleaned and set up to be used as treatment tank by immersion of bamboo stems (Figure 6), pouring solution in the tank and putting something heavy over the stems in order to keep all of them completely submerged. 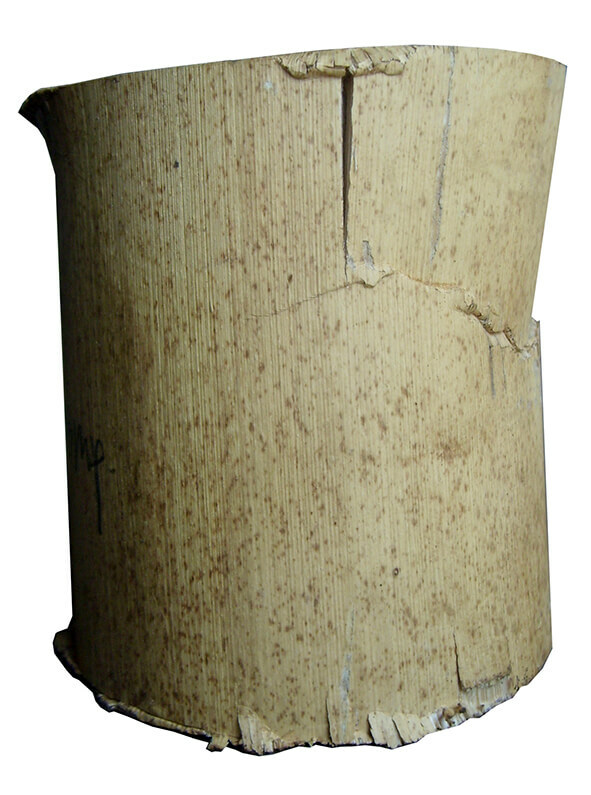 After one week submerged in the tank, bamboo stems were removed from it and were placed leaning on the wall of the workshop receiving direct sunlight (Figure 7), getting dry with the only inconvenient of turning every stem a bit from time to time in order to avoid cracking while they were reducing their moisture content. Bamboo stayed there for four weeks before being kept in the shady drying shed. Actually, along its fourth week leaning on the wall, around a third of the total volume of bamboo was used for building mentioned drying shed. This building process is going to be explained in detail now on. 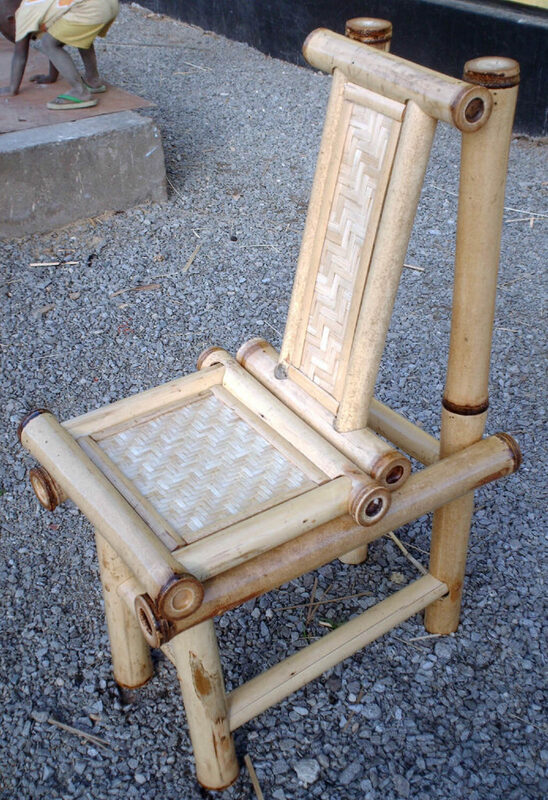 Once the material was ready to be used (*4), there were selected from the whole volume disposed the most straight bamboo stems, paying attention to their curvature and to the ends of the required pieces with a closed knot, as this means one important step on protection by design because closed knots avoid insects going inside hollowed structural elements as bamboos are. Said required pieces were survived following a design based on independent frames to be made separately and then assemble them on definitive site. Its general layout (Figure 8) consisted on two vertical frames similar to each other, holding with their lowest side a grid slab working as floor, supporting two roof trusses linked by single rafters. Due to this planning works, the whole shed was built up in only five days, even though there were no carpenter or builder working with the team. 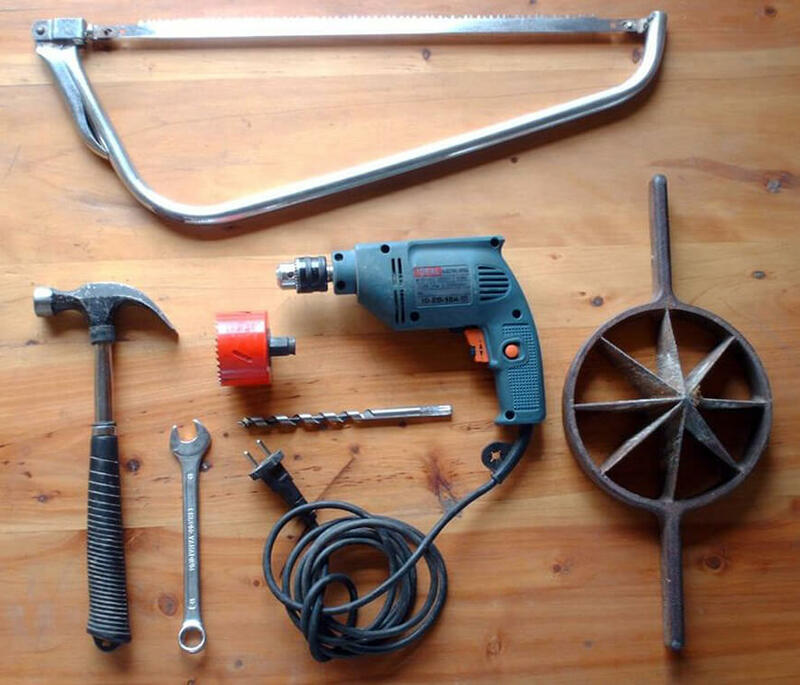 Moreover, the only tools available consisted on a handsaw, a hammer, a spanner, bamboo splitters and an electric drill with different drill bits (Figure 9). Even though all the tools needed were there to be used, there was an uncertainty along every day of work: ‘Is power supply going to be working the whole day through?’ Some days the workshop was running out of supply from the general line and there was no generator for its own use, and the real uncertainty was about if that day power supply was going back or not. 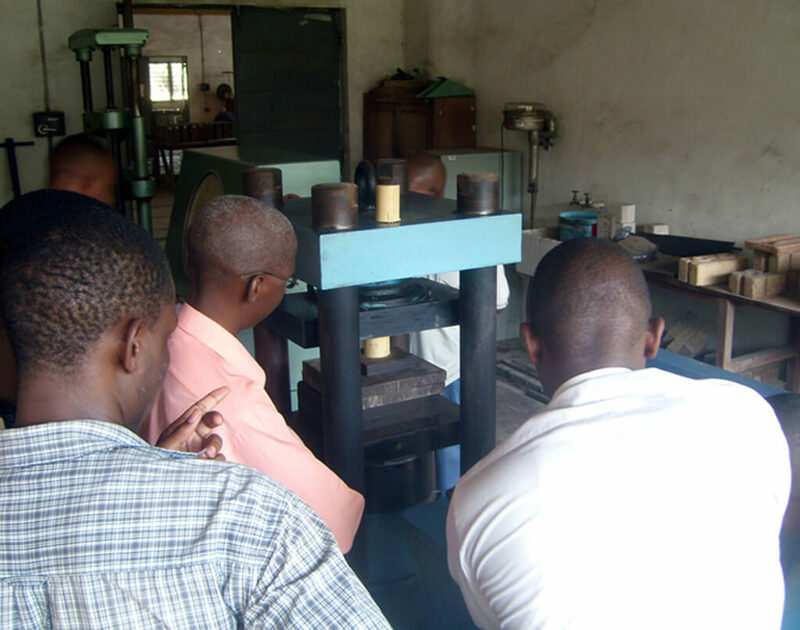 Before starting building process or even preliminary works, there were held inside workshop facilities some capacity building sessions, from theoretical and intuitive terms to practical handling of available tools (Figure 10). 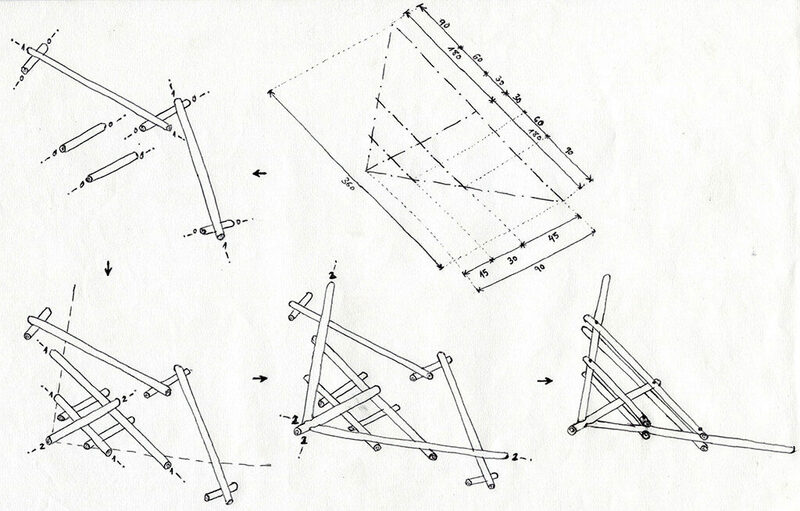 To meet design requirements, it was necessary to establish four independent foundation pieces, setting up a square on the ground using Pythagoras theorem. Every foundation piece, summing up four in total, was made placing a plastic bucket with a hole previously drilled at the bottom so a two feet length corrugated steel bar (half buried in the ground, half free vertically in the air) may be hosted its uncovered half inside the bucket and then concrete was poured in, waiting for it to harden. Afterwards, buckets were pulled up so the half buried steel came out of the soil and the whole piece was turned upside down. Then, every bucket, working as shuttering, was separate being pulled up. These prefab-footings were half buried in a previously dug hole, leaning on big stones. Right level was achieved by using air-bubble-in-water method. Fulfilling the rest of the hole with compact earth, foundation works were finished. With the aim of saving time during building process and to make this more efficient in terms of material, precision and safety, frames were made previously as independent pieces to be assembled later on. There were two different kinds of frames, each one made twice. 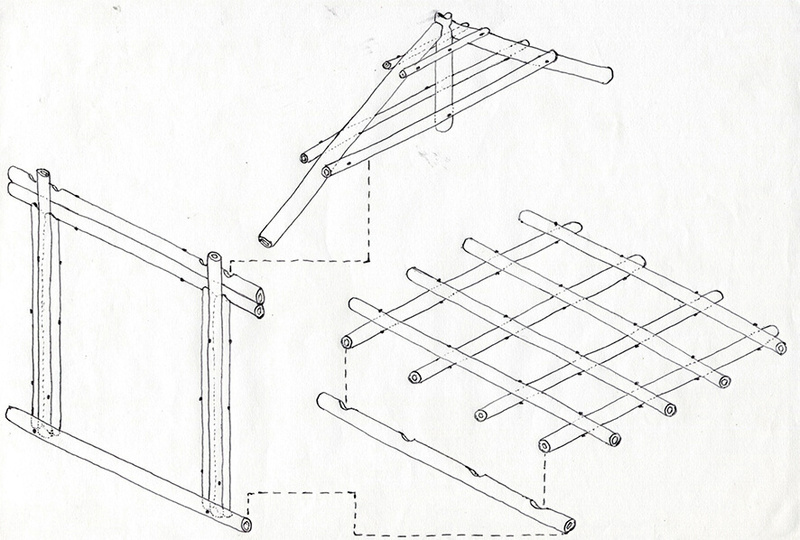 There were two vertical frames (Figure 11) which vertical elements were composed by three bamboos, two of them of the same height and aligned so they supported the upper horizontal element, composed by two parallel bamboo of the same length, being prepared to receive roof trusses. 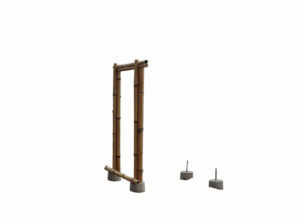 The third vertical bamboo was going to be placed between horizontal elements of the trusses. At the bottom of the frame, another horizontal element linked both vertical elements of the frame, supporting as well the slab which will take part of the floor. 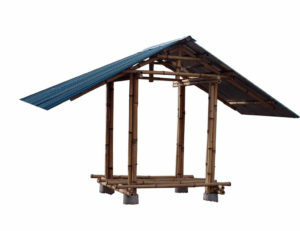 Roof structure consisted on two similar trusses (Figure 12) which were made also independently and then assembled to make up the whole roof structure, which was lift up at once by every member of the group present that day in the workshop, using arm’s power only, and using an empty drum as temporary support. 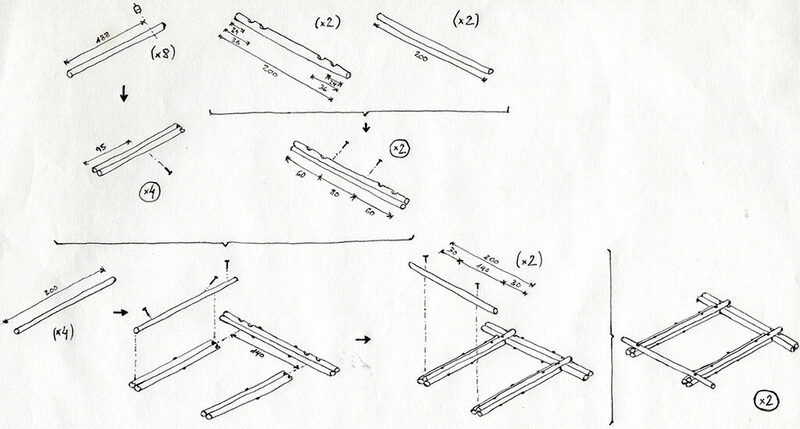 Particular design of the joints was planned following the conclusions reached by previous research studies (Janssen 1981; Jaramillo and Sanclemente 2003) which tested different possibilities of joining depending on the design. Plenty of obstacles were faced and shorted out by this modest building project: limited tools and materials, inexperienced workers, irregular labour conditions and so on. Despite of these difficulties, in just three days all prefabricated frames and trusses were done. This means a clue about how easy and fruitful may result working bamboo with building endings. 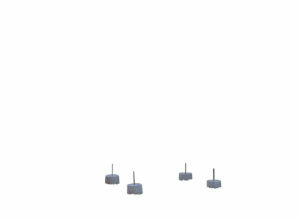 Joinery was based on screwed steel bar with washers and nuts in both ends (Figure 13). Concrete was poured inside bamboo cells which hosted steel bars coming from the foundations to gain stiffness in these points. Planning based on prefabricated elements reduces timing and allow one or two women to carry every piece on their own, due to lightness of the material and how friendly it is for every kind of worker to use it (Hidalgo-López 2003). Placing frames up to previously arranged foundations and lifting up the whole roof structure, as it has already been explained, in addition to cover the shed with corrugated sheets painted to be protected against weather, took only two days more. In summary, the whole building process, except foundations hardening, took six days (*5), from Monday to Saturday (Figure 14). 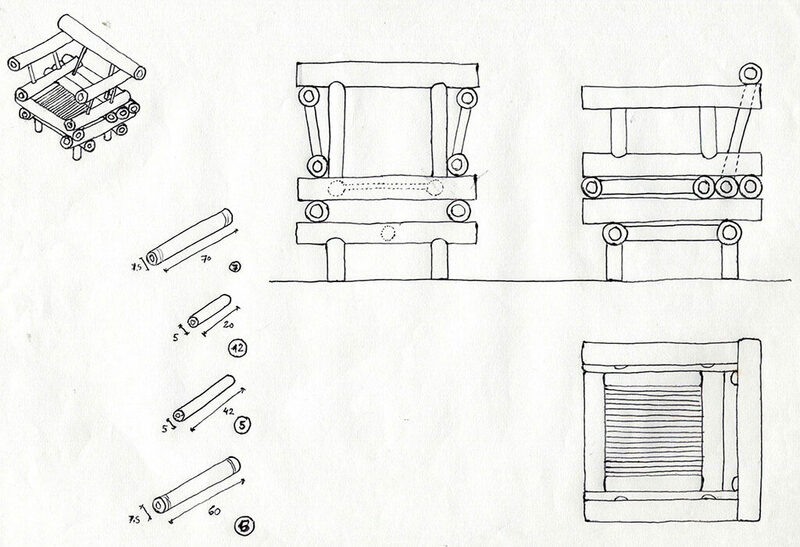 The following week would start furniture prototypes manufacture. Every prototype was designed considering reduction in costs and time production of working with simples pieces (equivalent to prefabricated frames in smaller scale) during furniture manufacture process, in addition to comfort, endurance and aesthetic criteria. Some drawings were done in order to make clearer this process in every case (Figure 15). There were conceived a sitting room set (single armchair, triple armchair and a sitting room table), a dining room set (chairs and dining table) and a double school desk. Some tasks were common for every prototype though some were specific for one or several cases (Figure 16). This fact was taken into account in order to organize work as serially as possible, with its implicit benefits. Due to most of labour was handmade, the rate of imprecision and risk undertook by manufacturers, especially in a beginning stages, is really high. To minimize these inconveniences, it is completely necessary to purchase proper equipment that ensures safety in the process and precision, leading to final high quality products. Although prototypes were done successfully (Figure 17), primary security rules and devices must be implemented to continue the project. In middle-long term, it would be better to acquire basic machines that would deal with unforeseen situations and time of production. 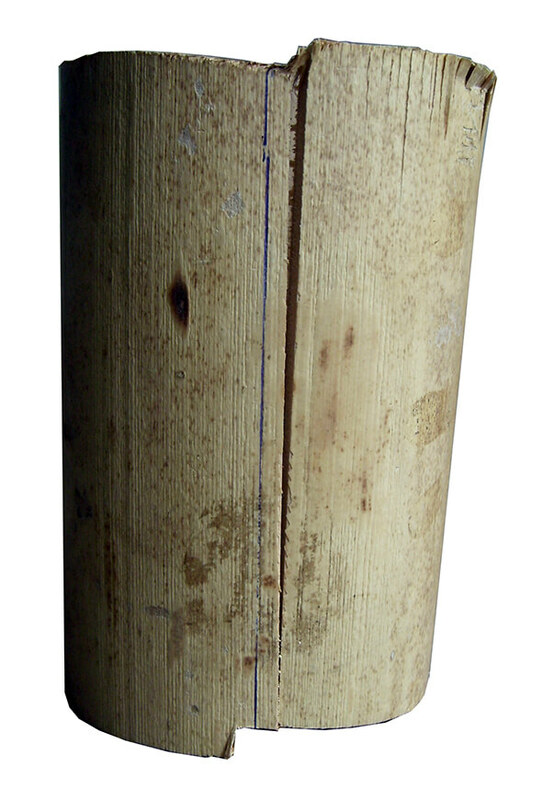 To make joints stronger, pegs out of bamboo were used, together with glue. Finishing was linseed oil (as non-acrylic pattern, let bamboo keep on transpiring) after covering flat surfaces with woven bamboo mat, speciality by the group members. 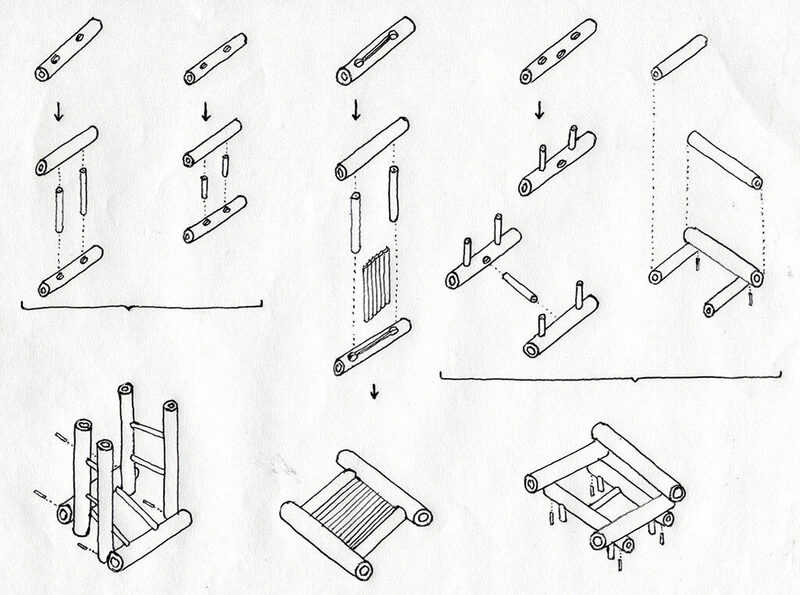 There was edited an model of furniture order form (Figure 18), in case production would meet demand, as every furniture piece done was very popular between costumers. 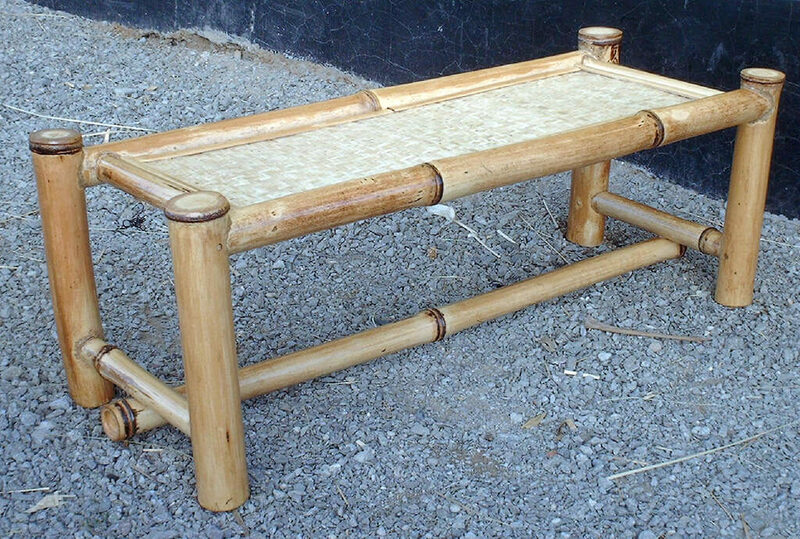 Potential rent of the business was proved as added value in furniture out of natural round bamboo stems covered by woven bamboo mat, everything finished with linseed oil pattern, achieve easily three hundred percent gross profit margin (*6). While the author was collaborating with the MBWG, a visit by INBAR members from their headquarters in China took place. They came together with officials at different Tanzanian governmental institutions, such as the TAFORI and the NHBRA. The member of this institution, whose name is Eng. John Twimanyee, invited the author to visit NHBRA facilities in Dar-es-Salaam because they were very interested in doing research on bamboo. 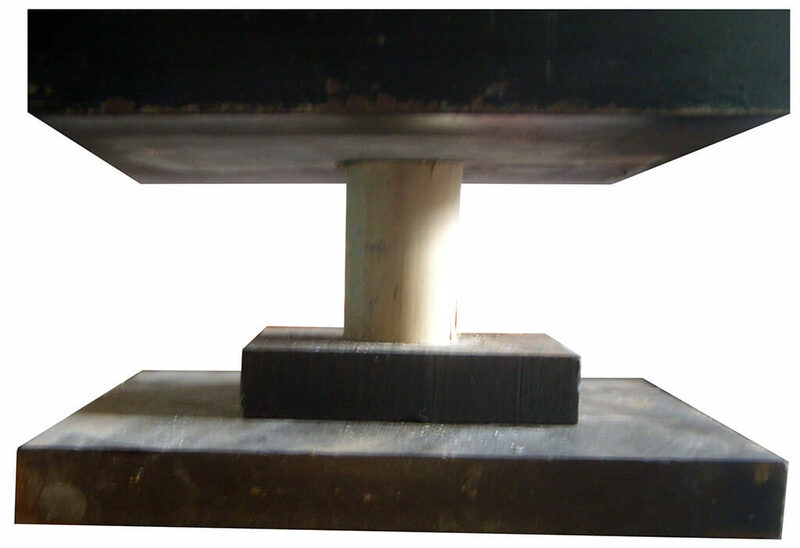 It was arranged a micro-research project on load-bearing performance, through destructive tests. 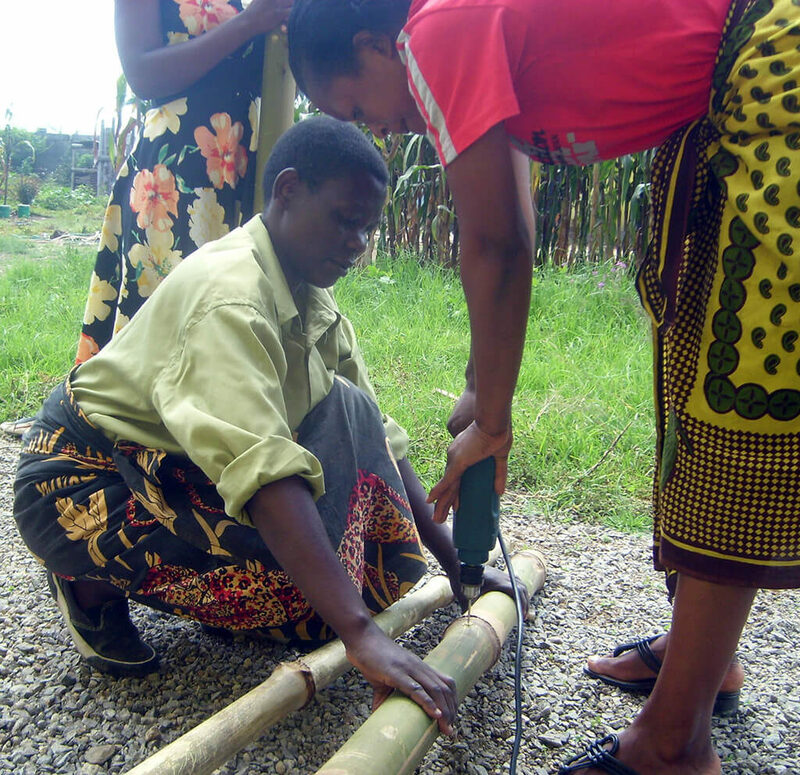 In Mbeya, the author selected and carried samples of treated bamboo which had been used during the collaboration project between him and the women’s group. 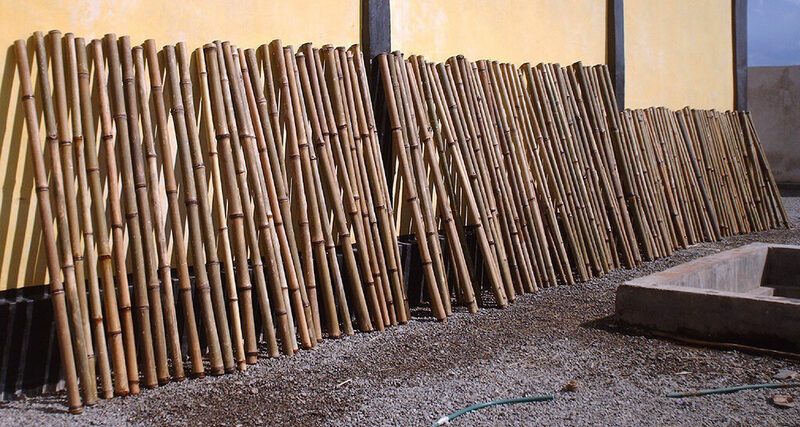 In total, thirty six specimens, 18 cm long each one, from eighteen different bamboos stems (Figure 19). Once in NHBRA’s facilities, one piece of every couple was kept for future experiments and the other piece (still representing eighteen different stems) was cut in two halves, 9 cm long each one. 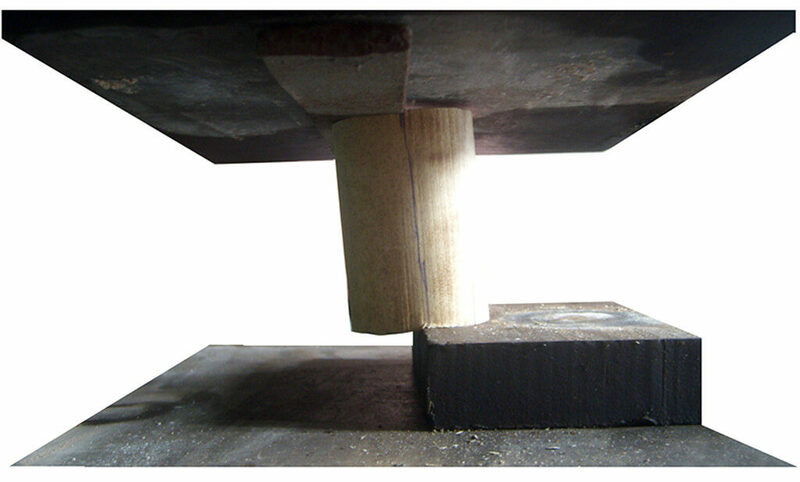 A half was tested in compression parallel to the fibre of the specimens (Figure 20) and the other half in shear parallel to the fibre (Figure 21) as well. Both tests were done using the same machine (Figure 22) by Seidner, with additional metal pieces for the second type of test described. The moisture content of three samples was recorded through dry process in oven during one day, being weighted before going inside of it and afterwards. There was a great audience following the whole process paying attention, including Eng. Twimanyee among other engineers and technicians helping in the materialization of the research (Figure 23). During author’s stay in Mbeya, he met PhD. Eng. Leonard Mwaikambo, leader researcher at the UDSM, whose research work and tuitions are related to bio-composites characterization and comparative analysis. Dr. Mwaikambo invited the author to visit UDSM laboratories and see the state of the projects. 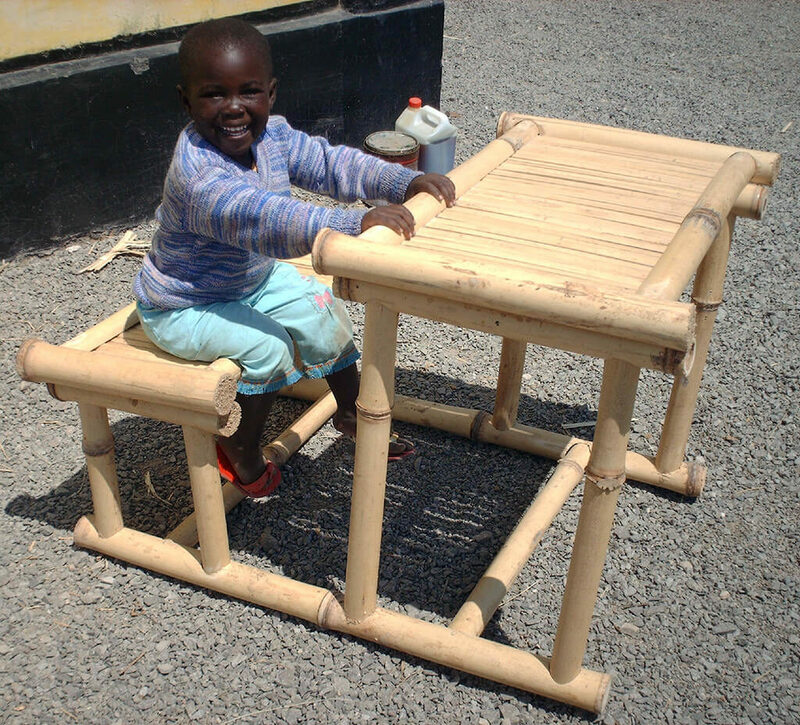 Bamboo was starting to be taken into account as a material to be included in their curricular lines soon. Until then, their work had been focused on sisal fibres to make rigid panels and cashew nut shell oil as natural glue to bring different materials together, for instance in multilayer composite materials. The visit was really interesting, meeting up and exchanging opinions with research staff members, including Prof. Lugoye (who had come back recently from Brazil, getting in touch for the first time with bamboo construction advantages nowadays), while knowing facilities and laboratories at the College of Engineering and Technology in the UDSM. Due to its proximity to the resource of local raw material known, Arundinaria alpina, the author got in contact with the MIST. He held a meeting with the Principal, Prof. Joseph Msambichaka, in which was arranged a lecture about bamboo as building material to be given in MIST theatre with researchers, professors, engineers and architects at this institution as audience and the author as guest lecturer (Figure 24). Every assistant followed with attention the lecture and asked their questions in the end, mainly focused on where exactly where located the resources. Before being selected for the Final Projects in International Cooperation for Development Programme by UPM, the author contacted MSc. Arch. Ms. Elinorata Mbuya, professor at the ARU and researchers at the IHSS, institution affiliated to ARU. She accepted to be counterpart supervisor for the collaboration project between the author and the MBWG. It was one of the requisites to take part in the programme, however, to establish an official link between UPM, as sending institution, and hosting institutions, in this case ARU. This link was fortunately achieved formally through a MoU signed by representative personalities from both institutions. After author’s stay in Tanzania finished, another student at UPM has been selected to continue the programme at ARU with a different project, in a different field. Ten months after coming back from Tanzania, the author get grade in Architecture with line of specialization in Project and Urban Landscape. 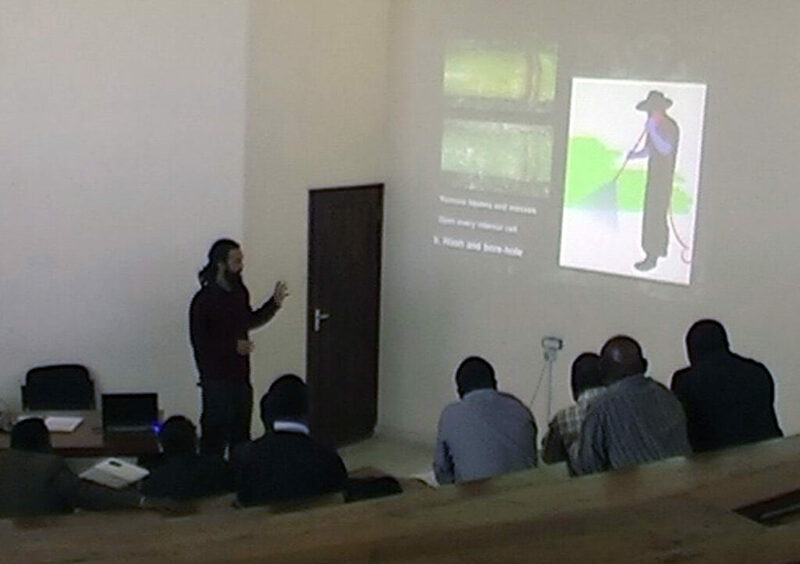 During these months, in addition to having the chance of giving special lessons on bamboo as building material as invited lecturer in the Department of Construction and Architectural Technology at ETSAM-UPM and in other departments, he was invited to expose the project in Tanzania displaying a document in the Fifth National Congress on University and Cooperation for Development, celebrated in Cadiz (Spain), explaining graphically the achievements of the experience in Tanzania. The value of the experience is not measurable, starting from the human scale until the technical approach. The members of the MBWG and the author shared an experience with no precedents for any of them in mutual learning and cultural exchange. 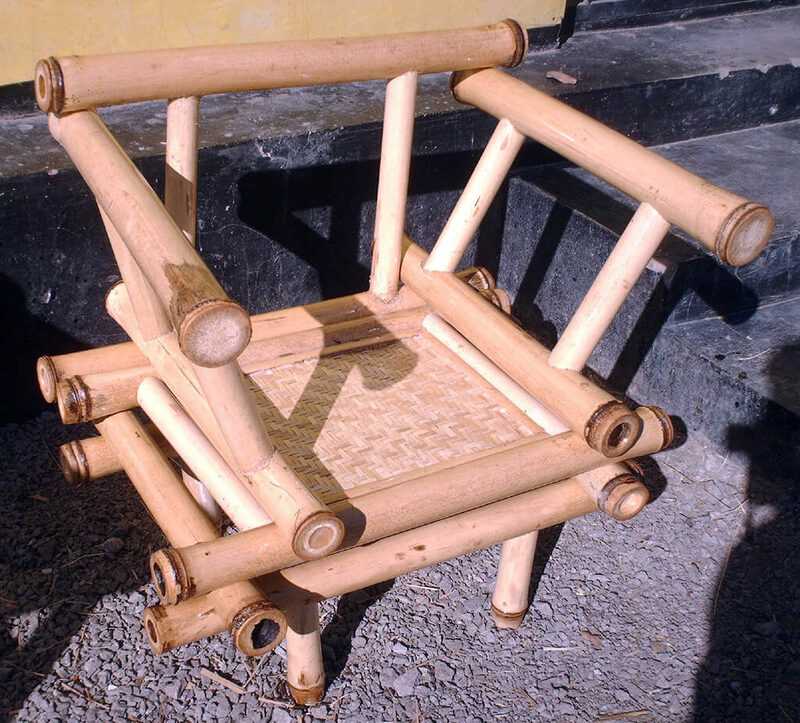 In capacity building terms, however, the projects may be improved because the group did not gain the whole autonomy required to keep on manufacturing and marketing bamboo furniture, as the participants agreed as a goal for the project. Even being a pilot project with no continuity, as soon as the group will be able to afford expenses in order to go through safety, precision and secure marketing lacks up to date, they will be capable to carry on their own profitable business on this field. In academic terms, a MoU was signed by UPM and ARU to enable formal exchange of students, researchers and material. The author proposed to Principal J. Msambichaka at MIST to sign a similar agreement between his institution, the UDSM and the ARU because they have already started academic exchange which is not reflected in an official document. 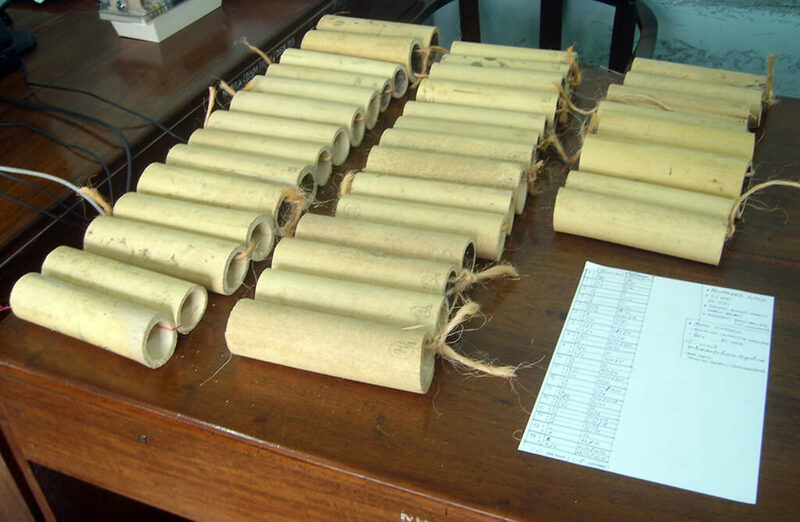 Research on bamboo samples of Arundinaria alpina are one of the first tests done to this particular specie and may result in longer term collaboration between the author and the NHBRA with the aim of enhance bamboo as construction material. Hidalgo-López, O. 2003. Bamboo: the Gift of the Gods. Oscar Hidalgo-López Editor, Bogotá, Colombia. 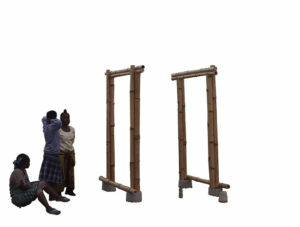 553 p.
INBAR (International Network for Bamboo and Rattan), 2008. Country Strategic Opportunities Paper – Tanzania. INBAR, Beijing, China. 31 p.
Janssen, J. 1981. 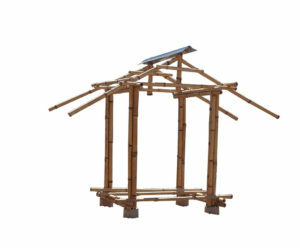 Bamboo in Building Structures. Doctoral Thesis at Technical University of Eindhoven. Einhdoven, the Netherlands. 237 p.
Jaramillo, D.; Sanclemente, A. 2003. Uniones en Guadua con Ángulos de Inclinación entre Elementos. Final Project in Civil Engineering at Universidad Nacional de Colombia. Bogotá, Colombia. 95 p.
Liese, W. 1990. Preservation of Bamboos. Federal Research Centre for Forestry and Forest Products.165-172. Liese, W.; Weiner, G. 1996. Ageing of Bamboo Culms. Wood Science and Technology, 30. Springer-Verlag. McClure, F.A. 1953. 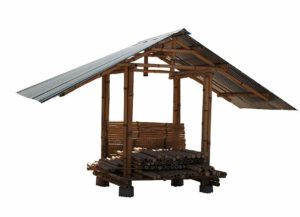 Bamboo as building material. U.S. Department of Agriculture: Foreign Agriculture Service, Washington D.C., U.S.A. 49 p.
Stamm, J.; Lehmann, H.; Aristizabal, V. 2001. Guía para la construcción de puentes en guadua. Proyecto U.T.P.-G.T.Z. JM Calle, Bogotá, Colombia. 48 p.
(*1) Jaime Espinosa belonged to ETSAM-UPM as grade student since 2002 until 2011, when he became an Architect and Urban Planner. In the current moment, he is following postgraduate course on Human Settlements in Third World awarded by a scholarship by UNESCO Cathedra in Basic Habitability at UPM. (*2) Jörg Stamm, who has worked as international consultant for the United Nations Organization, is probably the most experienced and recognized expert in bamboo construction, particularly in bridges projects, field in which he has reached over 30 metres free span bamboo structures, combining European carpenter’s tradition with vernacular knowledge on bamboo. (*3) The author knew about the MBWG by 2008 INBAR Annual Report, where an article about Paulina Samata, the group leader, and the other bamboo women’s group appeared. In September and October 2009, due to a travel help in cooperation for development projects, the author had the big chance to meet the MBWG for the first time, before starting the project explained in the present paper, which lasted since February until August 2010. (*4) It is recommended to follow a period of shady drying after sun drying stage, around two weeks more if it is natural ventilated, to reduce moisture content down to 10% in order to lift it with low risk of cracking. 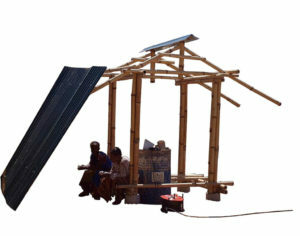 In this case, bamboo was used directly after sun drying stage because it was going to be locally. (*5) Six days dedicated to prefabrication of frames and roof trusses, assembling, floor slab and covering works; foundation consisted on four prefabricated concrete pieces with a corrugated steel bar coming out from it. Those pieces hardened and also were placed properly before this considered six-day period. (*6) Although MBWG members expressed their thankfulness and satisfaction for the experience shared with the author, it would be necessary to make a little investment to purchase tools, items for labour safety and to establish fluent marketing and delivery channels with clients.